Invisalign cost from £58 per week in our Central London Clinic. Invisalign straightens teeth using a series of nearly invisible, removable aligners that are custom-made specifically for your teeth. As you replace each aligner every two weeks, your teeth will move – little by little, week by week, gradually moving towards the projected final position. Comfortable, clear and removable – Invisalign transforms your smile without disrupting your life. Customized: We will take impressions of your teeth from which your personal custom-made aligners are produced. Removable: Invisalign aligners can be removed to eat, maintain good oral hygiene, and you may choose to remove them briefly for special occasions. Effective: Even before your Invisalign treatment is finished, you'll begin enjoying the benefits of a better smile. Teeth alignment will start right from the beginning. Comfortable: Invisalign aligners are comfortable to wear as there are no metal wires or brackets that could potentially irritate your mouth or gums. Clear: Invisalign aligners are virtually invisible so hardly anyone will notice that you are straightening your teeth. Some temporary minor discomfort can occur at the beginning of each new treatment stage when a new aligner is inserted. 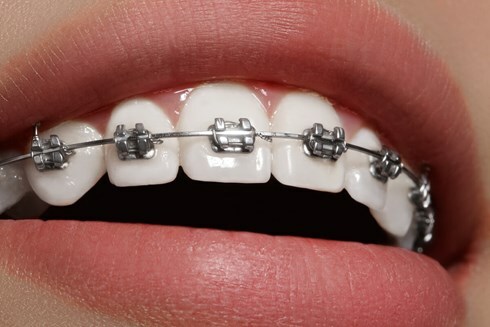 Can take a few months longer than traditional braces. This is a 10 minutes appointment, where there will be a initial chat to get to know you, examine your mouth, determine if you’re a candidate for Invisalign and assess your problems and your expectations from the treatment. Once you’ve had the initial assessment and decide to go ahead with the treatment, we will book an appointment to have your records taken. These include x-rays, pictures and impressions of your teeth. They are needed to plan your treatment, fabricate your aligners and to monitor the progress of your treatment and the results. Invisalign creates a virtual 3D simulation of your treatment, the number of aligners needed and the final results at the end of treatment. On this appointment we will show you this simulation (Clincheck), discuss the results with you and if you are happy to proceed. We then approve it for Invisalign to fabricate the aligners. Once Invisalign sends us the aligners, an appointment will be made to deliver the first 2 aligners and give you all the necessary instructions and advice. 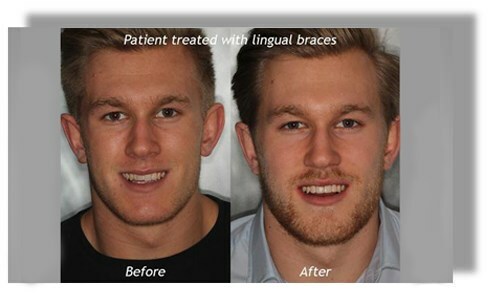 We will see you every 4-6 weeks to evaluate the progress and deliver the next aligners. Once you have worn all the aligners, we will evaluate if all treatment goals have been achieved and if you are happy with the results of treatment. If any additional corrections are needed, it’s possible for us to ask for another set of up to 12 aligners to refine the results. Once your treatment is finished, we will place fixed retainers at the back of your teeth and take impressions for removable retainers which will be ready after one week of your appointment. You must wear your retainers after you finish your aligners to prevent your teeth from moving out of alignment again. Damaged retainers (fixed or removable) should be repaired as quickly as possible to avoid your teeth moving.